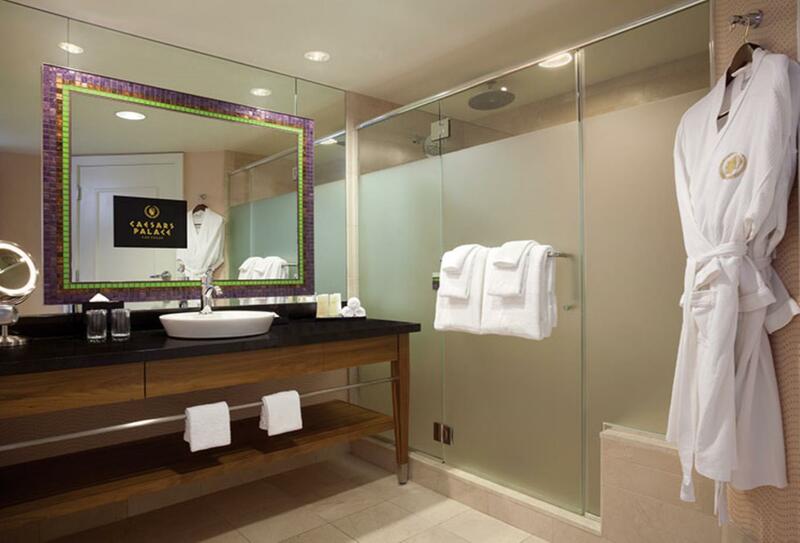 At the south end of the property, these rooms feature a marble bathroom with a spa bathtub and walk-in shower. The Forum Tower is located on the northern end of the property near the Forum Food Court, The Colosseum and The Forum Shops. 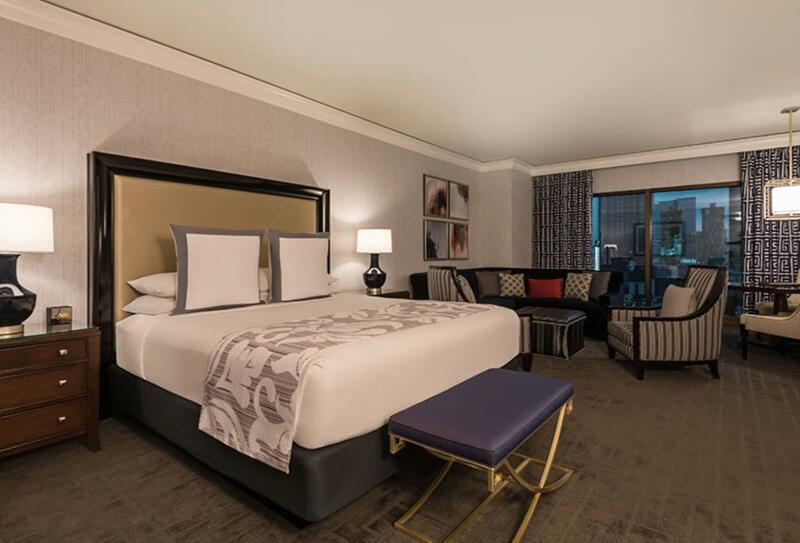 Rooms within here are Classic rooms that reflect the vision of Caesars Palace founder Jay Sarno when he created the legendary resort over 40 years ago. 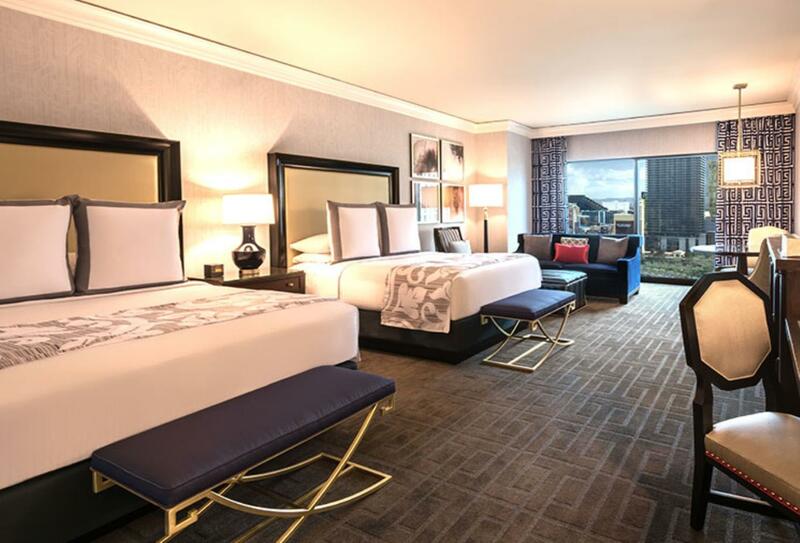 Conveniently located in the heart of the property and adjacent to the iconic Palace casino, these rooms combine modern touches with timeless elegance. 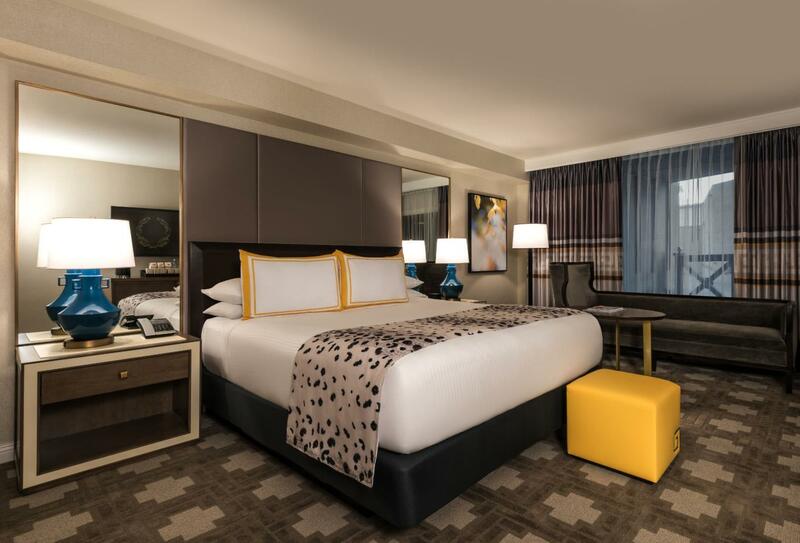 The Julius Deluxe Room features a modern interior with a warm neutral palette and a pop of golden yellow. The custom-upholstered headboard incorporates mirrored panels, while the stone and glass bathroom features a double sink vanity and hand-held showerhead. 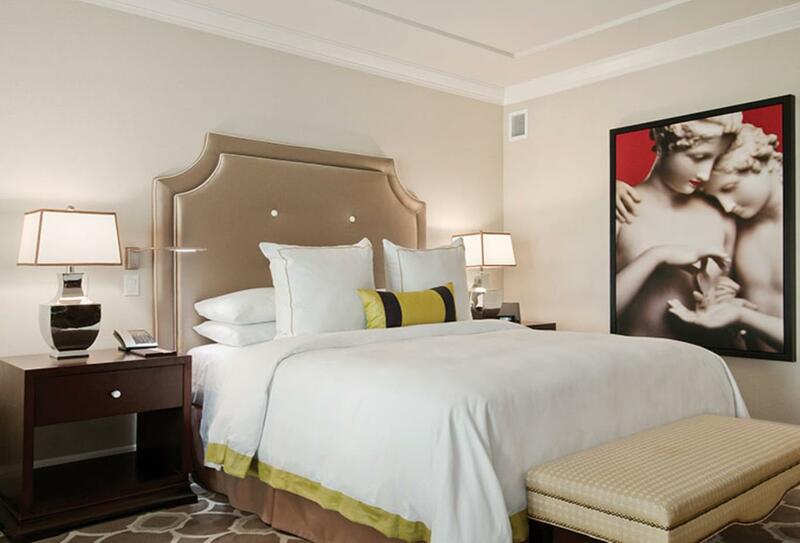 The custom artwork is a nod to Caesars' rich history of Roman-inspired sculpture and architecture. The Julius Tower is located in the centre of the property with easy access to the casino. 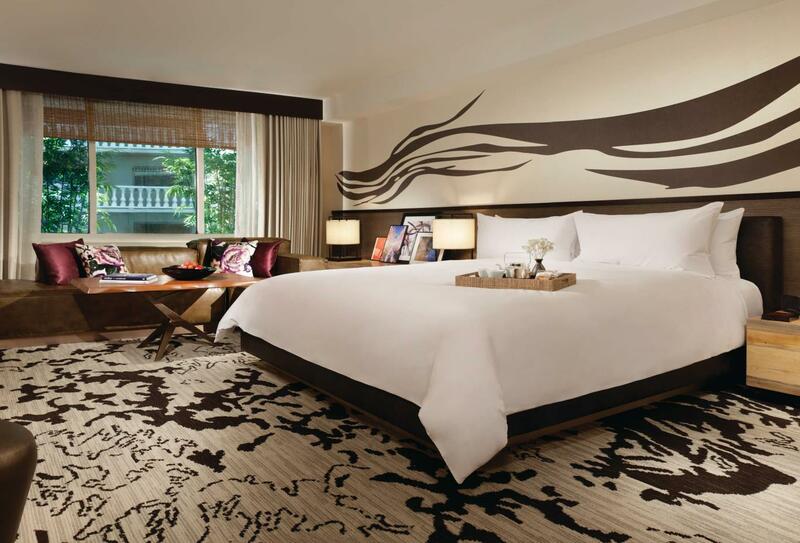 Nobu Hotel inside Caesars Palace emanates style and sophistication. 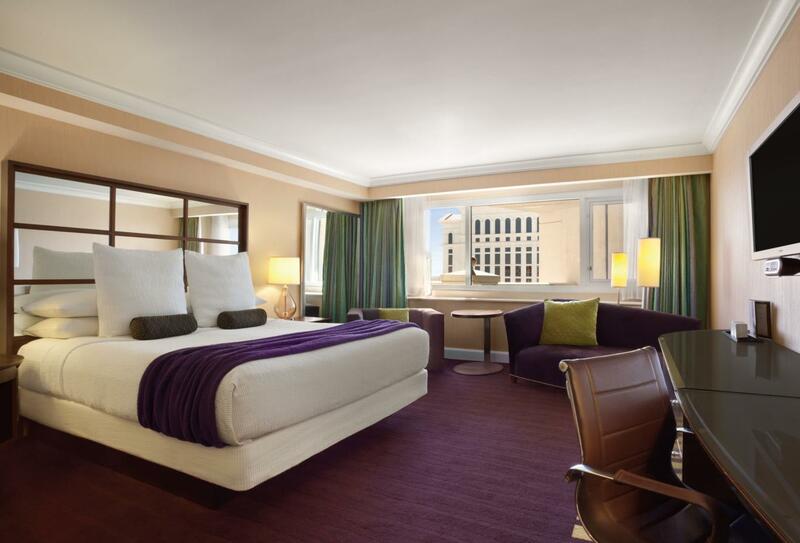 Featuring contemporary and traditional Japanese artwork, and sleek décor with splashes of gold and purple, the spacious and luxurious Las Vegas hotel does not disappoint. 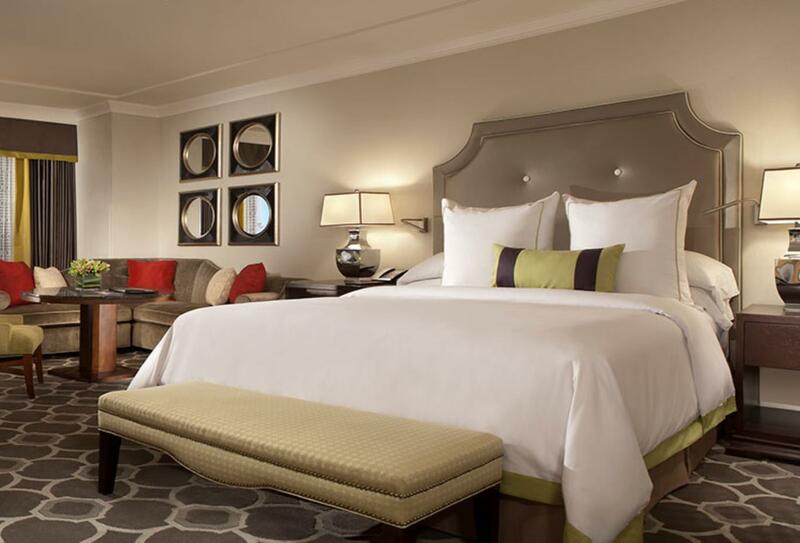 Exclusive room amenities include exotic-scented sleep oils and tea. Guests also have personalized concierge assistance and priority access to Nobu Restaurant. Nobu redefines both elegance and service. In the Palace Tower overlooking the pool, this studio has a his-and-hers bathroom, connected by a large walk-in shower. 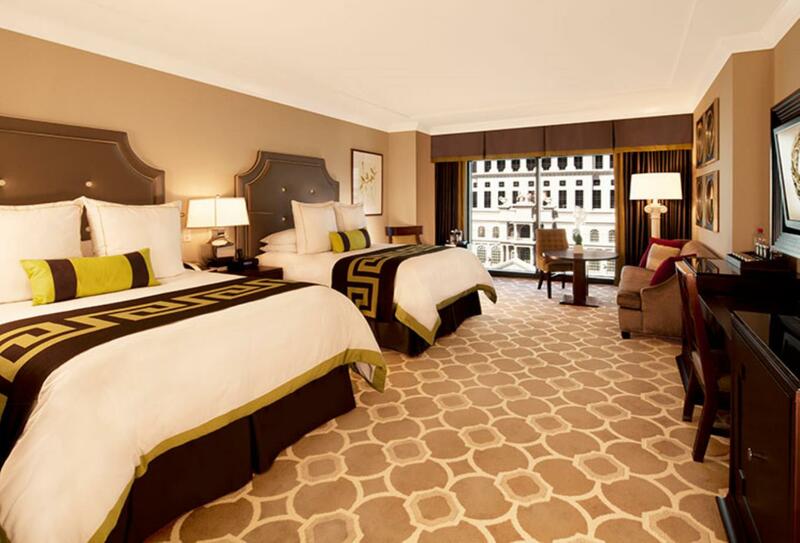 Experience the elegance of the newly-renovated Palace Rooms. Featuring a décor of cool grey tones accented by red and purple. The elegance continues into the Caesars-style marble bathroom with dual sinks, a walk-in shower and an oversized spa bathtub. Amenities include a 49-inch LED flat-screen TV, CD player, MP3 charging station, coffeemaker and hair dryer. 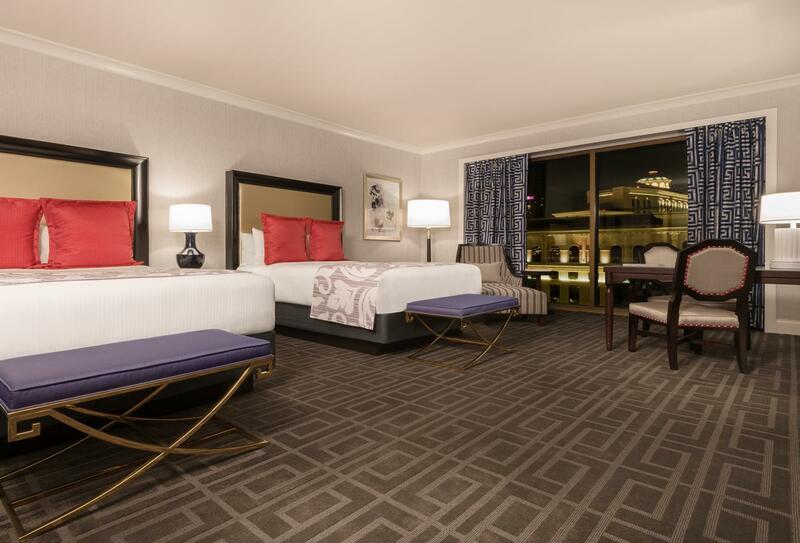 Located in the Palace Tower, these rooms are a short walk to the convention centre, shops and pools. Night-time entertainment at Caesar’s Palace includes around seven night clubs and bars each offering a different atmosphere and experience. Spacious and filled with natural light and incorporating state-of-the-art technogym equipment. A revolutionised buffet concept with modern food dishes and an upscaled setting. Choose from hundreds of daily offerings and around 15 daily chef’s specials. Open Monday to Friday 19:30 – 22:00 and Saturday and Sunday 20:00 – 22:00. Joining Las Vegas dining with authentic Asian flavours. Enjoy a menu of Beijing pancakes, won ton soup and other favourite Asian dishes. Open 24-hours daily. Consisting of a sushi bar, private dining area and circular central bar, the NOBU Restaurant is the only one in the U.S to offer teppan tables. The menu consists of Asian cuisine. 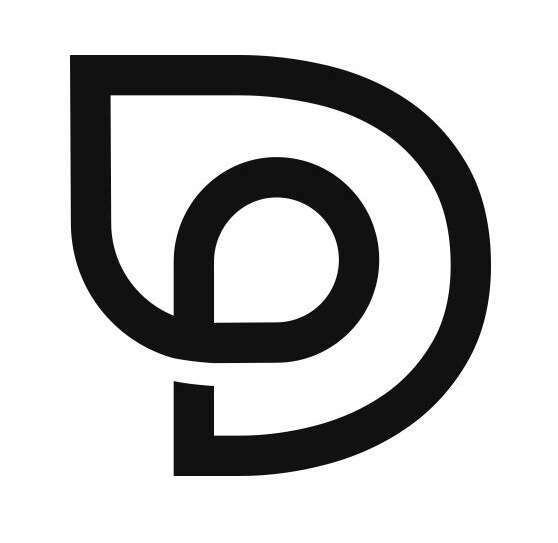 Sunday to Thursday 17:00 – 23:00 and Friday and Saturday 17:00 – midnight. Celebrity chef Bobby Flay’s restaurant serves southwestern grill food and signature American dishes. The eatery also offers special margarita concoctions. Open for lunch 11:00 – 14:30, brunch 10:30 – 15:00 and dinner 17:00 – 23:00. With an urban style dining room, the food here is quintessential American food and specialty meat cuts. There is also a happy hour. Open Sunday to Thursday 16:30 – 22:00 and Friday to Saturday 16:30 – 22:30. A modern venue on the second floor overlooking the Garden of the Gods Pool Oasis. The menu consists of Beijing inspired cuisine. Open Sunday to Thursday 17:00 – 22:00 and Friday to Saturday 17:00 – 22:30. 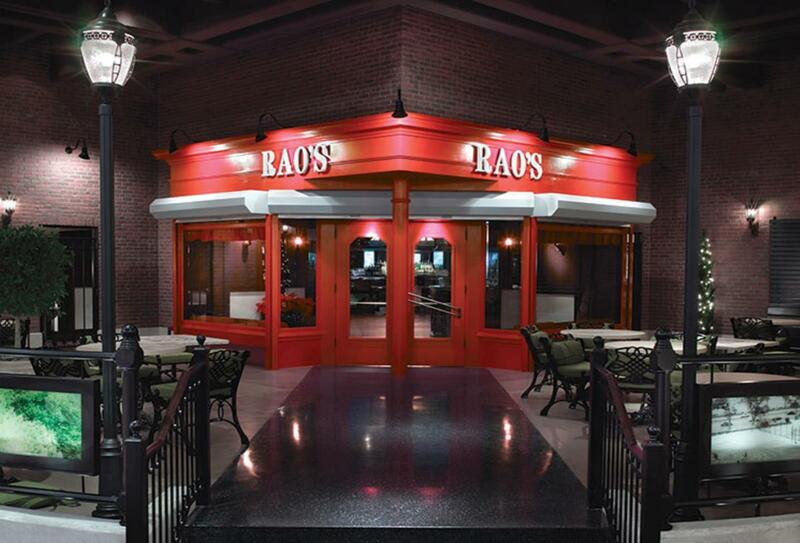 Based on the legendary restaurant by the same name that opened in 1896, Rao’s is an intimate restaurant serving southern Italian fare. Open Sunday to Thursday 17:00 – 22:00, Friday to Saturday 17:00 – 22:30. Serving French cuisine in a Parisian setting, this restaurant is a Forbes Five Star eatery. An authentic English pub experience comprised of two restaurants. The centrepiece of the restaurant is a bar with an array of beer taps. Enjoy classic British food and a lively atmosphere. Open Sunday to Thursday 11:00 – 23:00, Friday and Saturday 11:00 – midnight. The world’s first Hell’s Kitchen restaurant is set to open at Caesars Palace Las Vegas in December. The space is designed to resemble the studio set and guests can expect cast and chef recipes and dishes that have featured on the show, as well as many of Chef Ramsay’s signature dishes. The second restaurant by chef Giada De Laurentiis, Pronto by Giada will offer breakfast, lunch and dinner taking influence from cuisine across the world. American comfort foods in a retro setting. Tuck into dishes like ribeye tomahawk and beer-braised short rib. A modern beverage list includes cocktails of many varieties. Open Sunday, Monday, Wednesday and Thursday 17:00 – 23:00. Open Tuesday, Friday and Saturday 17:00 – midnight. Bar is open nightly 17:00 – close. Classic American comfort food with Latin dish options. Open 24 hours a day. Sweet and savoury brioche shop with tasty flaky French pastry. A grab -n-go eatery serving breakfast, sandwiches and other bites. Open Sunday to Thursday 06:00 – 12:00 and Friday to Saturday 06:00 – 02:00. A variety of quick serving options including sandwiches, pizza and succulent burgers. Open Monday & Wednesday 07:00 – 01:00, Tuesday, Thursday & Sunday 07:00 – 03:00 and Friday & Saturday 07:00 – 16:30. 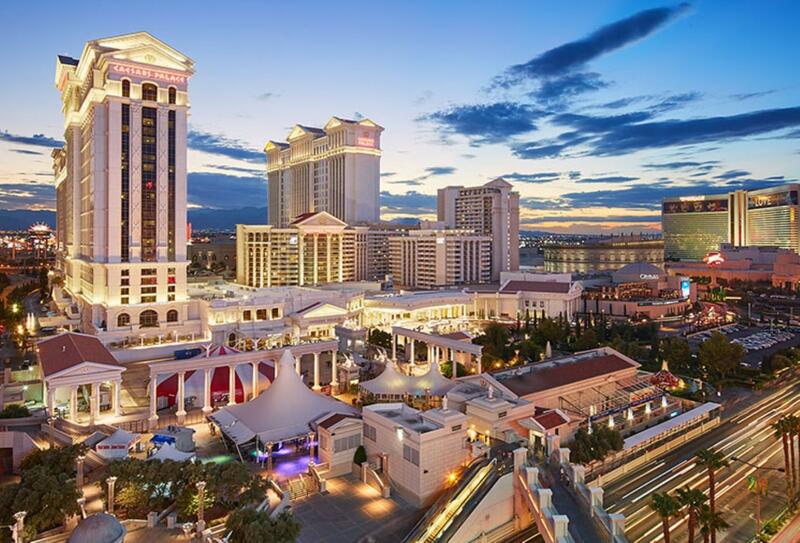 Caesars Palace is on the west side of the Las Vegas Strip, 12 miles from McCarran International Airport.